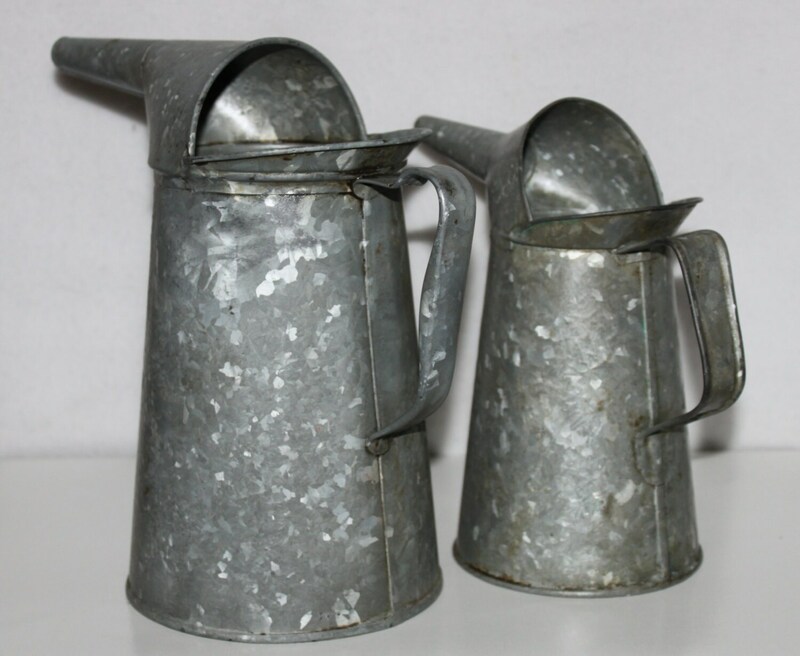 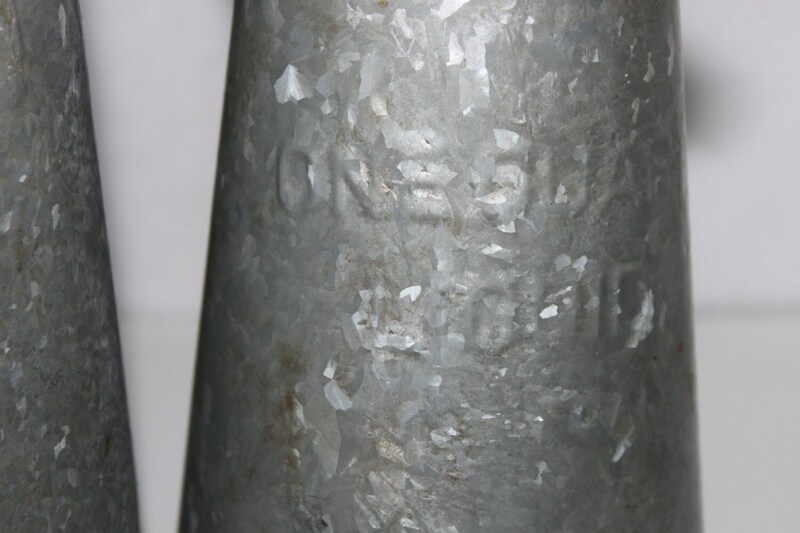 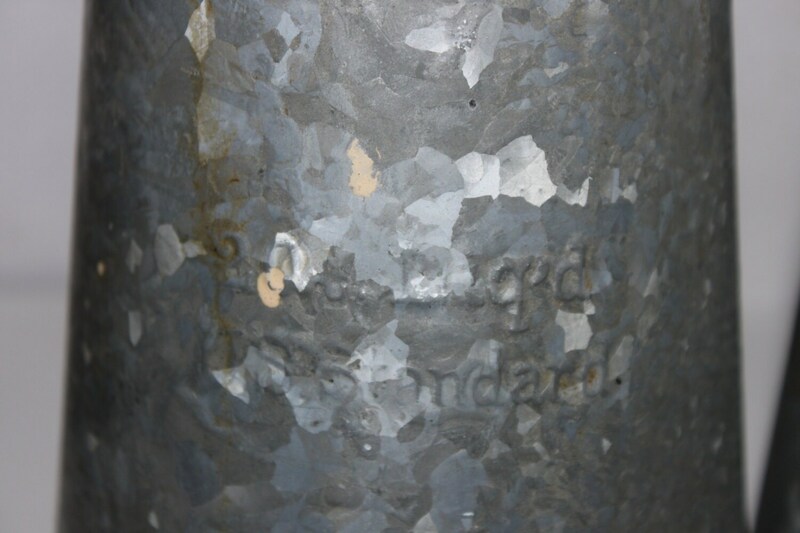 We have for sale a Vintage Pair of American Standard Galvanized Oil Cans, the large one is a two quart size measures 9 ½” tall and the smaller is a one quart size measures 8” tall. 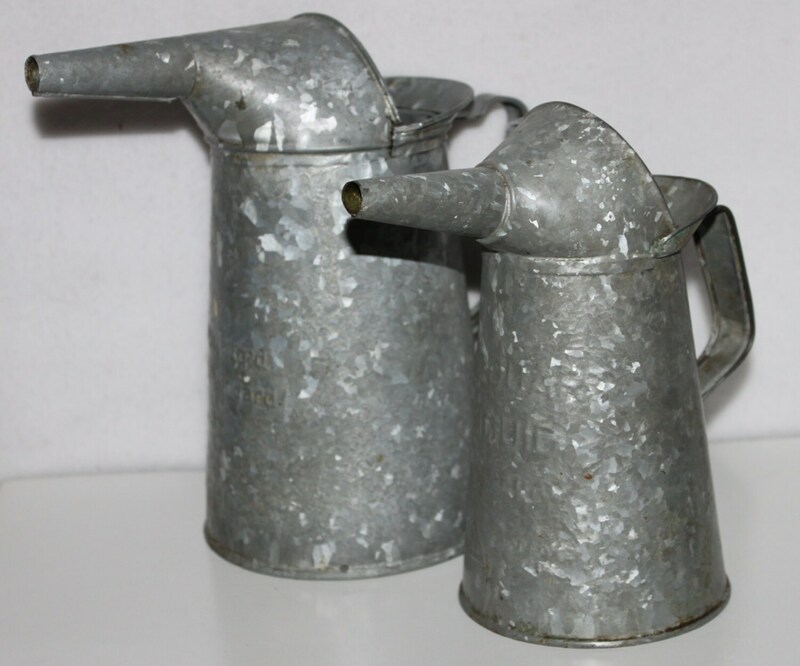 These would have been used at a service station or garage to put oil in your car, oil would be drained from a large 55 gallon drum into these containers. 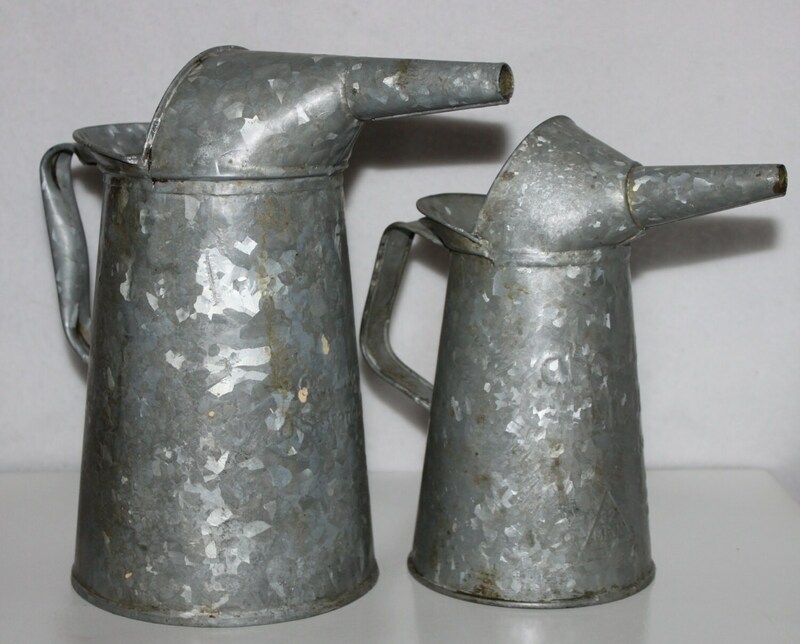 To see more of our wonderful Industrial and Steampunk items click the link below to go to our Etsy store.